Theresa began practicing yoga in 2006 when she decided to join the Peace Corps. She was not in great shape, so she joined a gym figuring that Peace Corps Volunteers probably needed to be fit to climb volcanoes and paddle canoes in the Amazon to get to their mud huts. Unhappy on the elliptical machine, Theresa wandered into a yoga class, and fell in love. She continued to practice in her new home in Ecuador (in an apartment in the city of Guayaquil …since not all Peace Corps Volunteers live in the jungle), and this continued when she returned to the States and eventually moved to the Boston area. Theresa completed her 200 Hour Yoga Teacher Training with Open Doors Yoga in Weymouth in 2014, always with the goal of finding a way to teach yoga as a response to trauma. In 2015, Theresa completed a 100 Hour Trauma Informed Mind Body Facilitator Training with yogaHOPE in Boston; and in September 2015, Theresa was named the Kip Tiernan Social Justice Fellow with Rosie’s Place and founded her program: LEGIT.yoga. 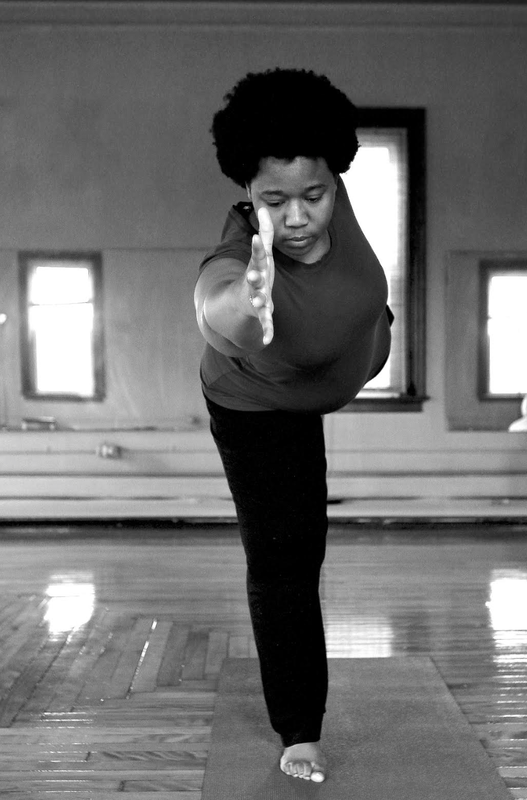 With LEGIT.yoga, Theresa teaches trauma informed yoga at Boston area shelters, low income housing communities, substance recovery programs, hospitals and schools serving low-income and at-risk communities. In 2016, Theresa joined the faculty of a 200 Hour trauma informed and social justice focused Yoga Teacher Training with 4 Corners Yoga + Wellness in Dorchester. Theresa believes in a yoga practice that is as intense as it is relaxing, where you learn to appreciate and understand your body and your breath for exactly what it is today. Theresa’s approach to teaching yoga is that YOGA can teach YOU to use the power and good energy that your body creates to transform your own life and the lives around you.